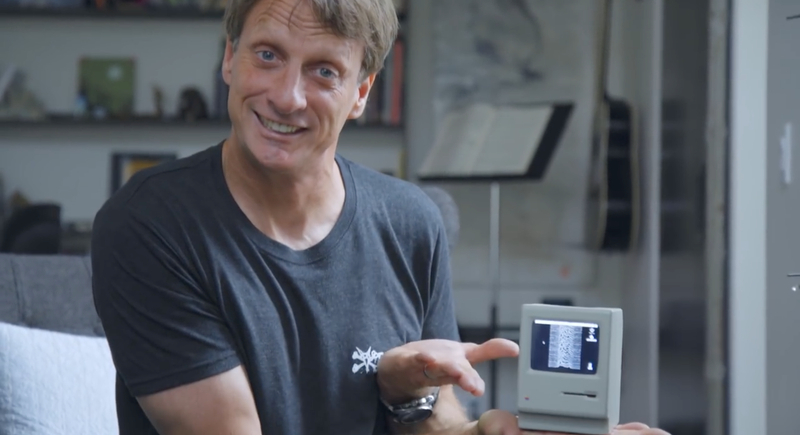 The Ride Channel just released a new video starring cool guy Tony Hawk, who is apparently obsessed with gadgets and technology. And you know what? Tony Hawk and this Gizmodo blogger have a lot in common. Tony, guess what. I also love calculator watches. (I’m wearing mine right now!) I, too, had to beg my parents to buy me one when I was a pre-teen. But that’s not all. The rest of Tony’s list of favorite gadgets is a lot like my list of favorite gadgets. Tony, guess what. I also owned a Hi8 camcorder back in the day, and my friends were also, like, “What? !” I loved that little thing. Tony, guess what. Same! I am now a professional technology lover. We probably have more stuff in common, too, if you think about it. You like to make video games? I like play video games. You like to star in movies? I like to watch movies. You like to skateboard? I like to watch you skateboard. So if you’re reading this, Tony, drop me a line. Let’s geek out together.